If you have a rotator cuff tear an orthopedic surgeon may recommend surgery if other nonsurgical treatments do not relieve the pain. If your arms are overhead for sports or work, or if you are very active, your orthopedic surgeon may also recommend surgery. only debridement, which will trim and smooth the area. A complete tear in the tendon’s thickest part is repaired by the two sides being stitched back together. 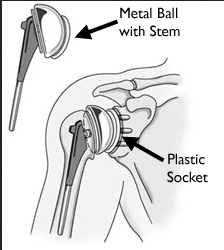 Your orthopedic surgeon has a few options that he/she can use to repair a rotator cuff tear. There have been advancements in the surgical techniques that are far less invasive than procedures of the past. Each method has its pros and cons, the goal of all is the same – heal the tendon. The type of repair your surgeon does will depend on a number of factors including the experience of your surgeon your anatomy, the quality of the bone and tendon tissue, and the size of the tear and his/her knowledge of the various procedures. There can be other problems with the shoulder in addition to the tear such as bone spurs, osteoarthritis and soft tissue tears. Your surgeon may take care of these problems at the same time. A number of the surgical repairs can be performed on an outpatient basis so you will not have to stay in the hospital overnight. The orthopedic surgeon will take the time to discuss with you the procedure that is best for you. An open surgical incision is required if the tear is complex or large – it can be several centimeters long. The surgeon will make the incision over the shoulder and then detach the shoulder muscle to gain a better view and access to the torn tendon. When an open repair is done, the orthopedic surgeon will remove any bone spurs from the acromion’s underside. The procedure is called acromioplasty. Open repair was the first technique ever used repair a torn rotator cuff and over the years, less invasive procedures have evolved, although the open repair is still used for complex or large tears. 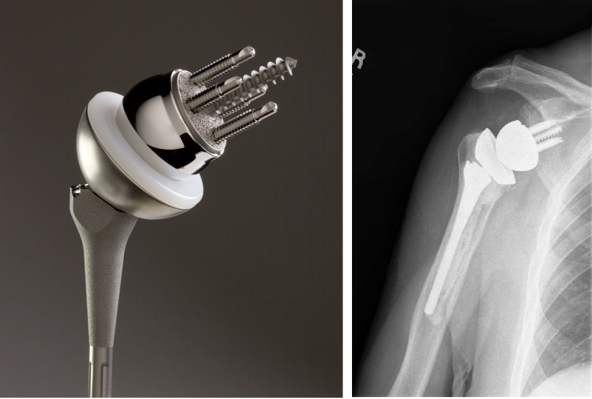 During arthroscopy, your orthopedic surgeon will insert a small camera (arthroscope) into the shoulder joint. Your surgeon uses the images he/she sees to guide miniature surgical instruments. Your surgeon is able to make very small cuts, rather than the larger scuts used with open surgery. This is generally an outpatient procedure and is the least invasive repair method. The technology used for the mini-open repair is newer and instruments are used to perform a repair through a tiny incision typically 3 – 5 cm long using an arthroscopy to assess and it can be used to treat damage to other areas within the joint such as bone spurs. The muscle doesn’t have to be detached with this procedure. Once the arthroscopic procedure is completed, the orthopedic surgeon will repair the rotator cuff through the mini-open incision. Your surgeon will discuss with you your rehabilitation protocol. It’s important to follow the directions of your orthopedic surgeon to the letter so that your rotator cuff heals properly.